The oval citrine prong set at the center of this platinum solitaire ring captivates the senses with its golden-yellow brilliance. Sparkling round diamonds flanking the center stone add an extra dose of luxury. 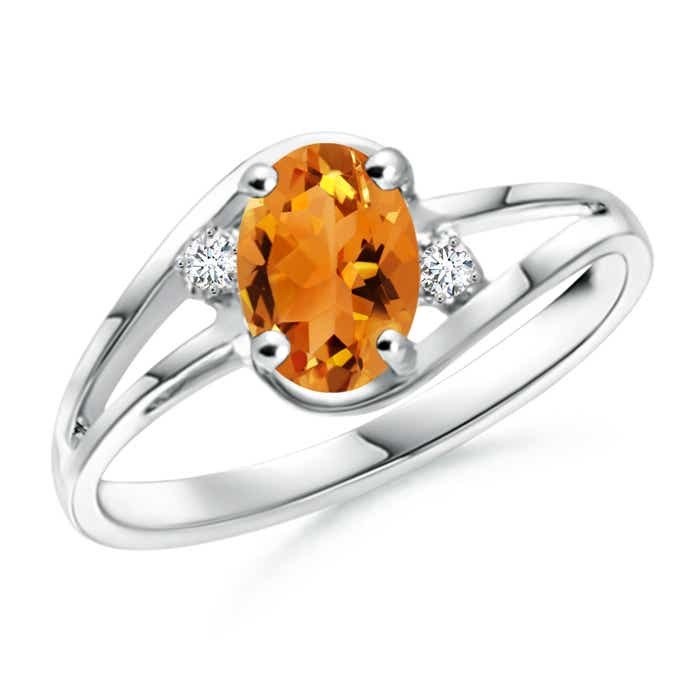 The stylish split shank and the dazzling accents enhance this brilliant citrine ring.